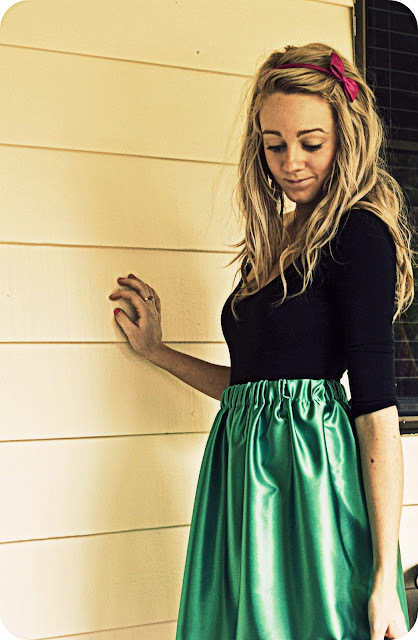 t-maree clothing: Green satin handmade skirt. Remember how I was telling you I bought some gorgeous green satin fabric? Well here is the finished skirt that I made :) I begin sewing it last night but got quite tired and decided to finish it today. It looked a little plain so I sewed together a little bow with some leftover fabric :) Hope you like. This look is now on lookbook. Here are some photos for your viewing!